Raingarden tree pits are set into the kerb and intercept and clean the water before it goes into the drain. 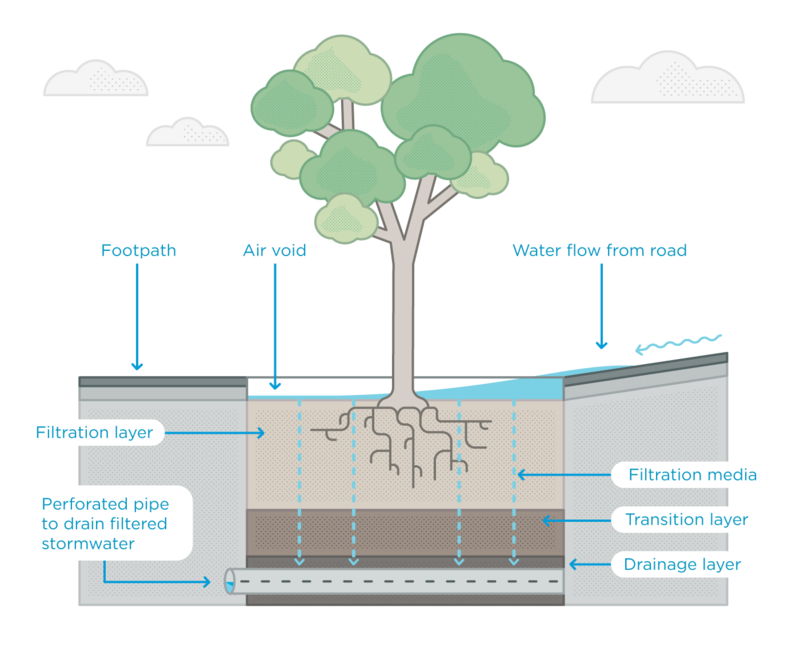 The pit contains layers of substrate that work with the tree’s root system to filter pollution from the stormwater. This includes nitrogen, phosphorus and oils. Tree pits also include a rock mulch layer to retain moisture in the soil and prevent erosion during rain.